FBN's Jo Ling Kent breaks down mid-afternoon market news. Hess (NYSE:HES) said Wednesday it signed a production-sharing contract with China National Petroleum Corp., marking China’s first joint agreement to develop a shale oil block. China is believed to hold the world’s largest reserve of technically recoverable shale gas. The country’s current exploration for shale gas is at an early stage, while exploration for shale oil has just gotten off the ground. The deal to share production with Hess, which has shale operations in North Dakota, is an attempt to help China replicate the surge in U.S. shale oil. Under the agreement, Hess will explore and develop the 800 square-kilometer Malang block of the Santanghu basin in China. Hess’s contract with PetroChina (NYSE:PTR), CNPC’s listed unit, follows a joint study conducted by the two companies. Royal Dutch Shell (NYSE:RDSA) and EOG Resources (NYSE:EOG) were interested in the same basin, but Hess was the only firm to enter into a joint-study agreement, Reuters reported. Shell agreed to China’s first production-sharing contract for shale gas in March 2012. 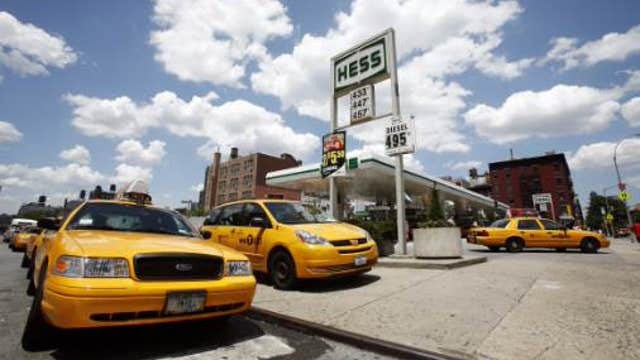 New York-based Hess is in the process of becoming a pure-play exploration and production company, shedding its so-called downstream businesses of refining, retail and transporting oil. Earlier this month, The Wall Street Journal said Hess tapped Goldman Sachs (NYSE:GS) to sell the energy firm’s approximately 1,361 gas stations. Shares of Hess were down 49 cents at $72.94 in late morning trading. PetroChina was down $2.90, or 2.4%, at $118.39.